It's no surprise Louise Erdrich won the National Book Award for fiction last week. Her book, The Round House, is a contemporary coming-of-age story set inside a Native American reservation. The protagonist, Joe Coutts, is a 13-year-old boy whose last threads of childhood innocence are dramatically cut short after his mother is sexually assaulted. Although she survives, it's arguable that she doesn't live, slipping into surrender and becoming a shell of the woman he once knew as mom. The loss of his mother, emotionally and spiritually but not physically, permanently changes him overnight as he and his father, who is an Ojibwe tribal judge, try to understand what happened, who did it, and how tangled reservation and American law might prevent them from seeking justice. The Round House is a caustic portrait of cultural loss. Commonly billed as a mystery, which is somewhat misleading as the attack frequently takes a back seat to the subtleties of attempting to make sense of the world as a Native American entering adulthood, the novel is an eye-opening exploration of cultural loss. There is also a deeper unspoken plot line. It reflects on the importance of native women within their families and the cost when they are absent. Although it can be frustrating at times when Erdrich allows Joe to become sidetracked with less important pursuits that typify teen boys, her reasons for doing so become clear enough toward the end. Joe does enlist his trusted friends — Cappy, Zack, and Angus — to uncover the truth and find the assailant in the wake of a failing official investigation. 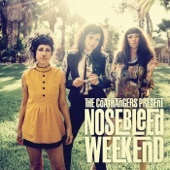 But their efforts are mostly lackluster and carried on with careless immaturity. Instead, their "investigation" leads to a better understanding of the world in which they were born. Set in North Dakota, the Ojibwe are at a crossroads as a sovereign nation without much sovereignty, proud as a people but dependent on federal aid, and feeling a loss of their cultural identity as they attempt to invent new meaning for what they once held sacred. Relatively few people like Joe's grandfather preserve the stories of their ancestors that paint a rich, thoughtful and illuminating heritage. Fewer still, like Joe's dad, understand that how he handles even the smallest tribal cases can often carry consequences for larger cases in providing them more opportunities or limitations. The blend provides a compelling story in that Joe and his friends mostly act like any teenage boys, with sometimes comic affinities with Star Wars, Star Trek, Dune, Christianity, and many other American cultural icons. At the same time, there is frequently a sense of tragedy and loss as they take pride in a cultural history that will forever be lost to them. How to approach the novel and come away with something unexpected. 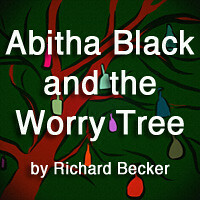 Erdich is an engrossing and talented writer who understands character. She breathes so much life and back story into the smallest parts, giving readers an innate understanding of who they are, even if they do not know it themselves. In The Round House, the characters are almost trapped within their cultural identity as much as they are empowered by it, giving them a burden that squanders individualism. Reading the story from that context, especially as it pertains to how it may or may not shape people, gives the book an entirely different feel than the assault of Geraldine Coutts. That plot line as a mechanism of conflict is important but only in so far as it challenges the human condition and dares us to consider what we would do if it happened to our loved one. And then, perhaps, what we would do with a different cultural identity that has endured several generations of injustice. A few graphs about author Louise Erdrich. 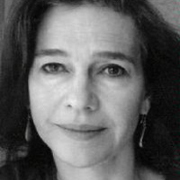 Louise Erdrich is the author of twelve novels, several volumes of poetry, and children't books. Erdrich, who owns a small independent bookstore in Minneapolis, frequently delivers an intensity and authenticity to the Native American perspective. She is the daughter of a German-American father and Native American mother. She grew up in Wahpeton, North Dakota, where her parents taught at the Bureau of Indian Affairs school and is an enrolled member of the Turtle Mountain Band of Chippewa Indians, which includes Ojibwe a.k.a. Anishinaabe. Later, after graduating from Dartmouth College, she earned a master's degree in creative writing at Johns Hopkins University. 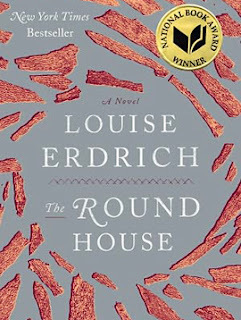 The Round House By Louise Erdrich Circles 8.1 On The Liquid Hip Richter Scale. The story provides a profound perspective on Native Americans as they exist today as opposed to distant historical references that are more familiar to many non-Native Americans. It creates an added urgency to recognize that as many people want resolution for many modern causes, there are many pressing issues that have remained ignored and neglected for hundreds of years. The Round House by Louise Erdrich is available on Amazon. Barnes & Noble also carries the novel. 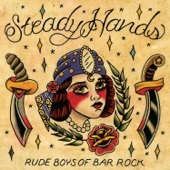 The book can be downloaded for iBooks. The audiobook is also on iTunes, which is narrated by Gary Farmer. While there are times when Farmer really nails down the characters, the decision to emphasize a Native American accent (whatever that is) was misplaced. It's only when he loses most of the accent that the prose retains its importance. The book is set in 1988, not 1888, making the read better than the listen.